Arnold Schwarzenegger stars in the pulse-pounding action film Sabotage, from the director of End of Watch and the writer of Training Day. 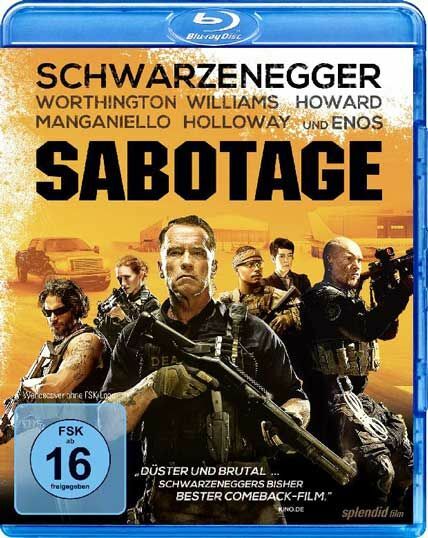 When DEA task force leader Breacher Wharton (Schwarzenegger) storms a heavily armed cartel safe house, rogue members of his team use it as a cover to steal $10 million in cash. But just when they think their secret is safe, agents are killed off one-by-one, and everyone is a suspect, including the squad itself.